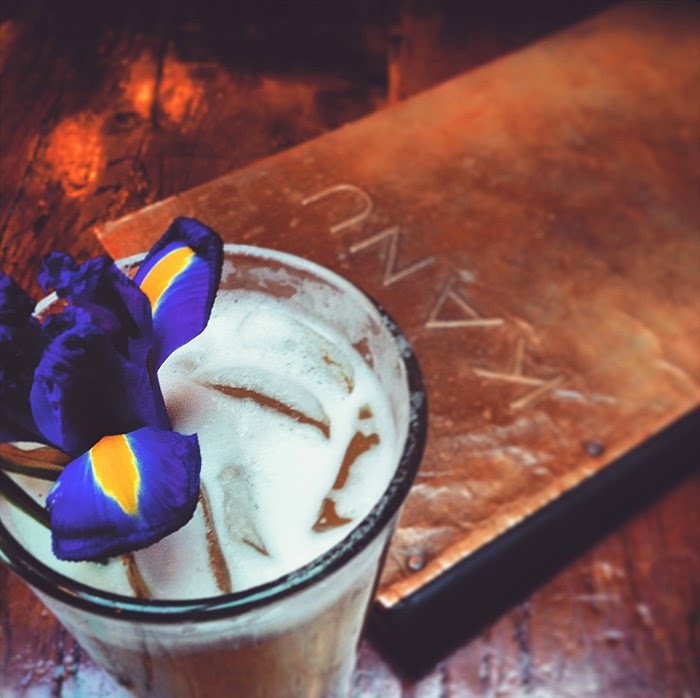 Zachary Blair is the lead mixologist at KANU Lounge at Whiteface Lodge, the all-suite luxury resort tucked away in the High Peaks of Lake Placid. Blair who is from Saranac, New York has been bartending for three years. A few fun facts about Zach: his favorite cocktail is a Muddled Old Fashioned, his favorite beer is Lagunitas IPA, and his favorite shot is Suze. Zach’s Toasted Tropics cocktail was inspired by a snowstorm that hit the Adirondacks this past winter. In desperate need of some sun, the beach, and tropical flavors, he picked up some Brazilian rum and banana liquor, a little pineapple juice and peach syrup and put together the perfect tropical combination. He finished the cocktail off with a coffee bitter, making a quintessential drink to warm you up on a chilly day. This looks like the perfect cocktail to make you feel like you're in the tropics! What an interesting combination of flavors. This caught my eye because of the Iris in it - that's my favorite flower. This looks awesome! What a fantastic cocktail! Love the iris, a great touch. I would love to try one of his drinks! May need to give that Toasted Tropic a try! I'm in need of some sun, the beach, and tropical flavors, too! Sounds tasty. The perfect tropical drink! Now I can't wait for summer! What a beautiful cocktail! Love the flower garnish!